News about the event preparations, partners & sponsors. Late exhibit entries are coming in now for Tracks to the Trenches. We are delighted to announce two real celebrity machines will be making a first-time visit to Apedale. 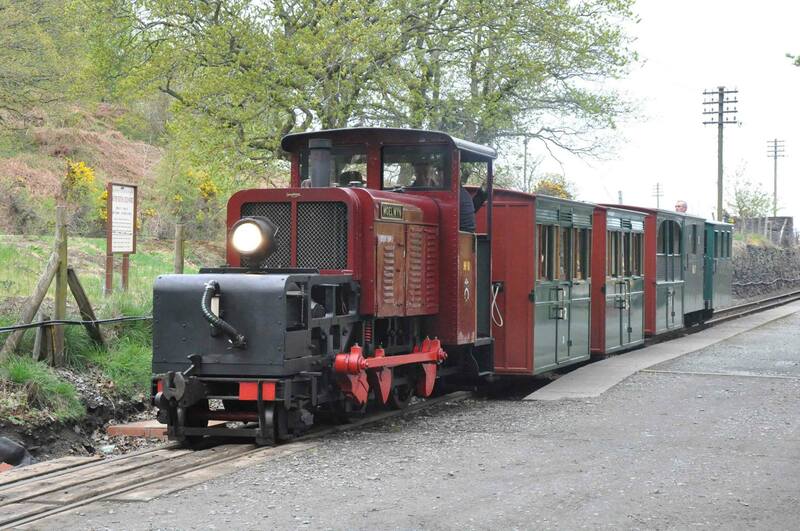 They are the Ffestiniog Railway’s 40HP Simplex (once known as Mary Ann) and Moelwyn – the UK’s only surviving example of one of the Baldwin tractors which were very popular with American and Canadian forces during WW1. Being FR locos, their wheel standards are alsightly incompatible with the railway a…t Apedale – so they MAY be static display or very limited operation – testing will decide. There’s still just a few days to buy advance tickets. The deal is pretty good – you get to skip the queue, and get the guidebook thrown in. The guidebook is £4, and is really nice – so you get £13 worth of ticket and book for £9, and quick entry. A bargain if ever there was one. We’ve also still got a few Access All Areas passes left. Closing date for advance ticket sales is 1st May, so stop messing around and go to the Tickets page with your credit card in hand!! We are pleased to announce the participation of the “Soldiers to Schools” program from the British Army on Friday 13th May, which is available for school visits. 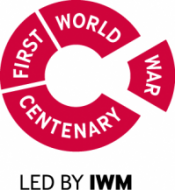 They will provide some expert insight and a selection of First World War replica equipment young people to handle. 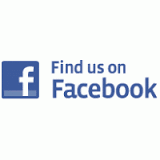 Prospective school visit co-ordinators – please feel free to contact us with your requirements. We are here to help! To add a further dimension to the Tracks to the Trenches event and to provoke the enquiring mind, we are also very pleased to release the FREE 2016 educational pack. Baldwin returns to Tracks to the Trenches two! 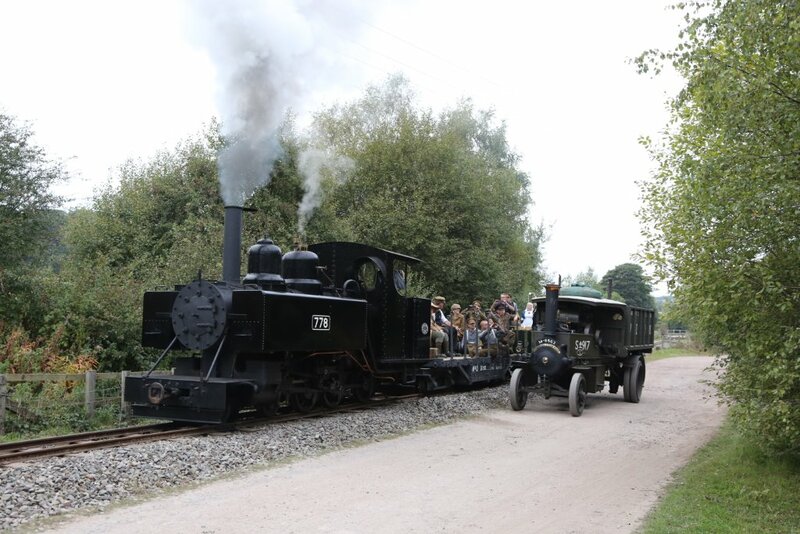 In addition to the previously-announced Kerr, Stuart “Joffre” from the West Lancashire Light Railway and Hudswell Clarke 1643 from Statfold, Baldwin 44656 of 1917 will make a very welcome return visit from its normal base at the Leighton Buzzard Light Railway. 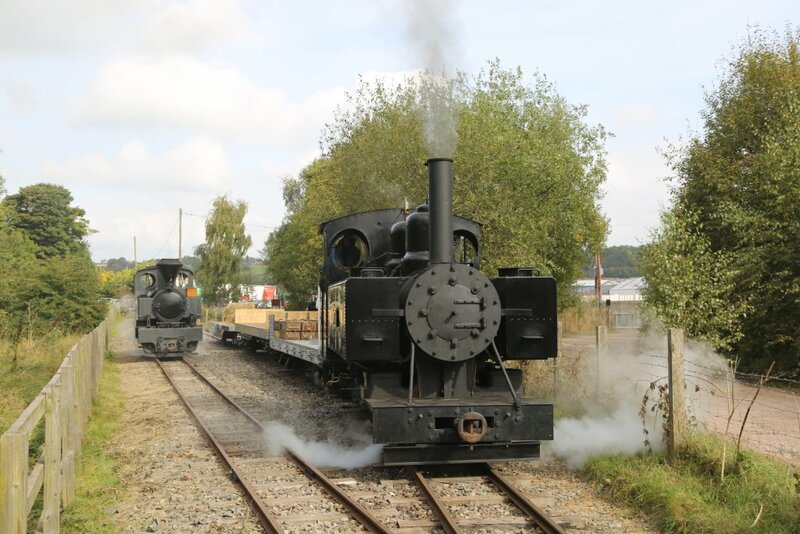 Owned by the Greensand Railway Museum Trust, the Baldwin – No.778 – has just completed a major winter overhaul. These locomotives were supplied en-masse from their American builder to the British War Department from 1917 onwards, eventually totalling nearly 500 by 1918. 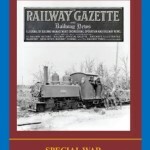 They were the most common steam locomotive operated by the War Department Light Railways during World War One. After the War, No.778 was one of a batch of 50 locomotives identified for further service on the North West Frontier between India (now Pakistan) and Afghanistan. By the early 1970s, this war veteran had been re-discovered at an Indian sugar works by adventurous British railway enthusiasts. In March 1985, the loco returned to the UK. After a major restoration project, No. 778 was finally launched into public service in August 2007. 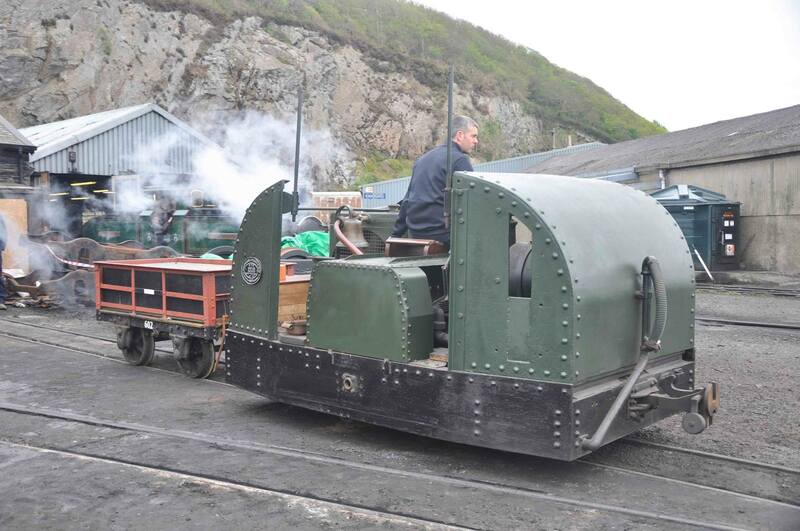 2014 saw No.778 star at the Tracks to the Trenches event at Apedale before withdrawal for a boiler overhaul. This has been completed in double-quick time – a testimony to the quality of the original restoration. 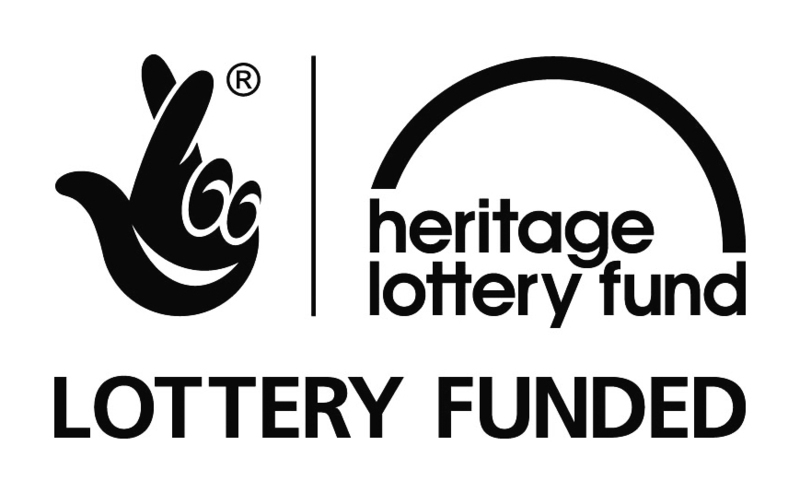 Thanks to National Lottery players, the Trust will now be able to fulfil two key objectives. 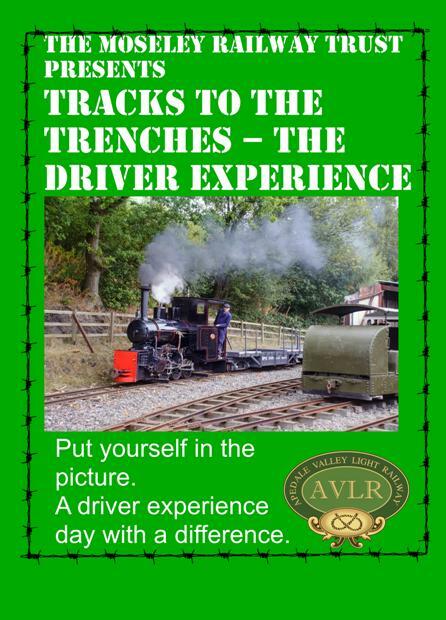 Firstly, it will enhance the displays which will be available to the public at the forthcoming Tracks to the Trenches 2016 event at the Trust’s Apedale Valley Light Railway site. 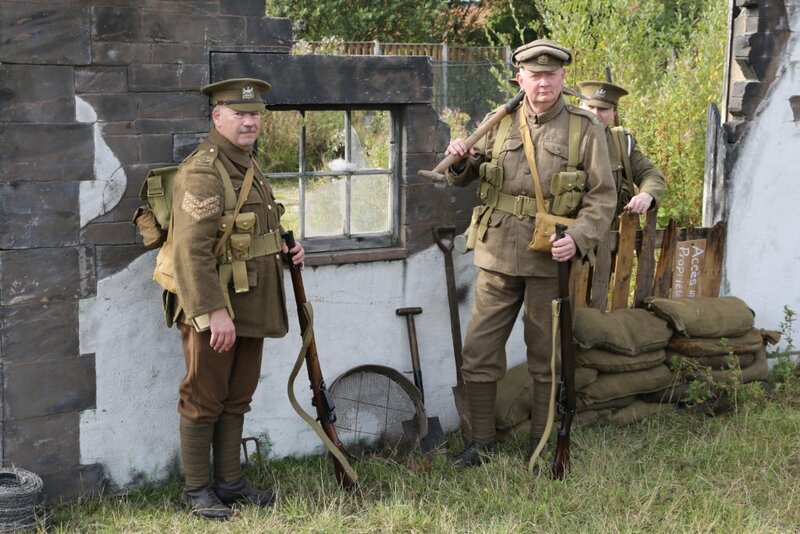 During this event, part of Staffordshire is transformed into the Western Front in 1916 – including a replica trench for visitors to experience. The event will include displays of working horses, mules and horse-drawn vehicles. This event takes place on May 13, 14 and 15 2016, and further details can be obtained from this website. Why not spend the weekend at Tracks to the Trenches?! This year the event organisers have been able to develop a plan to allow limited numbers of people to be part of the event for the weekend. 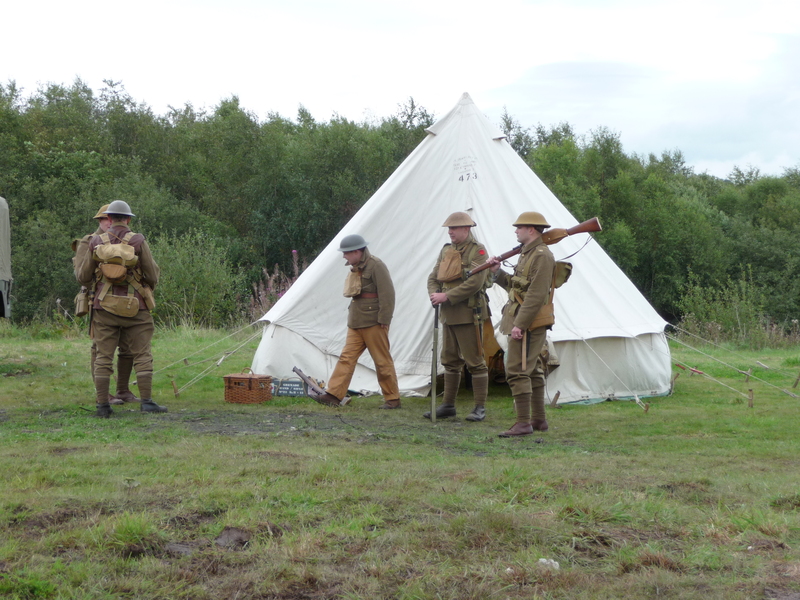 Instead of staying in a motel or Travelodge (hotel room only), why not spend a night or two in a First World War tent? This is not only an experience to be remembered, but should be cost effective too! Access to after hours entertainment. What more could you want! Just bring a sleeping bag & any food (although food/drink is available on-site separately)…. The offer is currently provided on a “per tent” basis – although if there is demand, we may be able to provide a “per-bed” communal tent too. These large (approx. 14’ ridge or bell) tents can easily accommodate 4 to 5 people on the camp beds. Please contact us for more details & reserve you tent!